Hot off the festival and international film circuit, our SXSW Film Festival Best Feature Award Winner “Most Beautiful Island” releases on Blu-ray, DVD and Digital HD, on 5th February 2018. 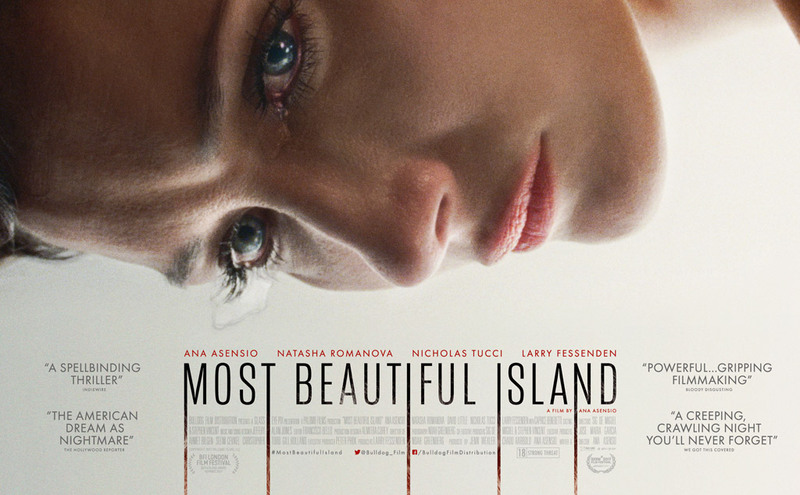 Inspired by real life events and shot on Super 16 with an intimate, voyeuristic sensibility, “Most Beautiful Island” is a high suspense psychological thriller chronicling one harrowing day in the life of Luciana (Ana Asensio), a young immigrant woman struggling to escape her past and make ends meet in a new life in New York. As Luciana’s day unfolds, she is whisked, physically and emotionally, through a series of troublesome, unforeseeable extremes. Before her day is done, she inadvertently finds herself a central participant in a twisted and dangerous game. The thriller was written and directed by Ana Asensio, and if that wasn’t enough she also steals the show as the lead female character. “Most Beautiful Island” will be available on Digital HD from the 5th February, and Blu-Ray and DVD 12th February 2018.